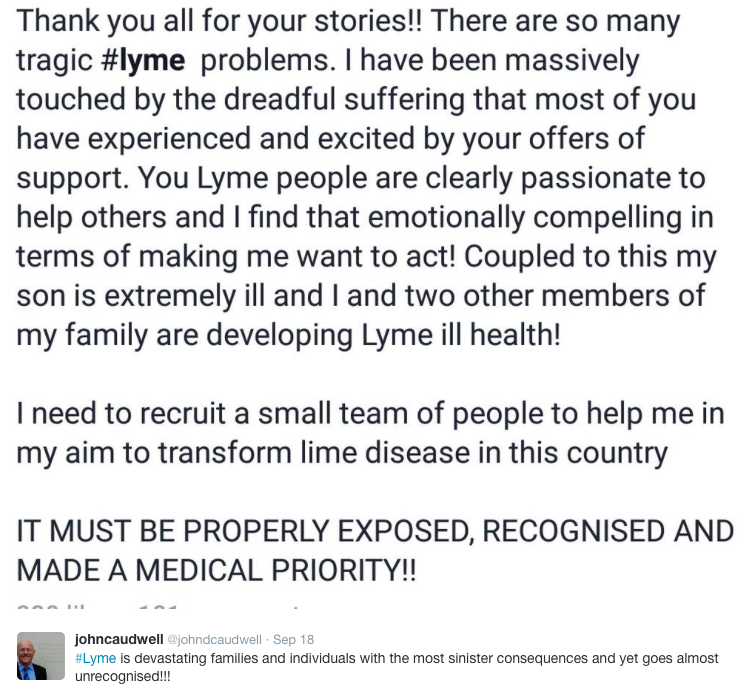 Self made Billionaire John Caudwell puts out a call to build a team that can transform how Lyme Disease is treated. Can you think of any ways that Mobile can help? An outpouring of response to this social media posting by John Caudwell (Phones4U founder, the UK’s biggest taxpayer and generous benefactor behind the Caudwell Childrens’ Charity and important monuments recognising National Heroes) got me thinking it might be useful to list ways that Mobile (an industry Caudwell knows very well) might be able to help contribute to the ‘action strategy’ for the team he plans to recruit. As is common with other seasonal health campaigns (hay fever, flu, etc) why not a cautionary SMS warning to Parents including a video (like the following one produced by the New York based Lyme Action Network but perhaps featuring a celebrity popular with young families) at the break up of school term? I think it’s important to realise that with current childhood obesity levels we really don’t want to be planning anything that discourages children getting outside exercising so perhaps we put the investment into apps and online content (eg. perhaps a video featuring Ray Myers – a presenter I think would make a great member of Caudwell’s team) that young people are already enjoying. > Mobile embedded GPS equiped monitoring tech could provide accurate sampling of environments that would show risk and how it varies throughout the year etc that could be useful for planning of public health campaigns. > Although very few Healthcare Professionals actually understand Big Data the collection of symptom information could be invaluable and it underlines why we shouldn’t be letting healthcare professionals decide which symptom information they record. As with most illnesses that are considered to be quite rare and associated with vague symptoms, Lyme Disease symptoms are likely to be missed when Patients that are presenting to really busy GP practices (some NHS GPs are under pressure to see as many as 60 Patients a day) especially when the Patients aren’t known to the Doctor they are consulting with, or there are time pressures that force Doctors to have to interrupt Patients within seconds of them starting to share their story. Evidence from Dr John Bachman, Prof of Primary Care at the Mayo Clinic, shows that we need to provide Patients and Carers with questionnaires that can help them to share their important history because evidence shows that people answer more honestly to computers than during face to face interviews. As evidence builds that Lyme Disease may be sexually transmitted it’s also interesting to note that a recent piece of research showed that 25% of men visiting their NHS GP would reveal via a waiting room questionnaire that they’d experienced domestic violence/abuse. Mobile can connect communities effected by Lyme Disease and facilitate important connections and the sharing of support resources. Mobile First Clinical Trial design can provide invaluable help in speeding up the discovery and understanding of poorly understood diseases and the new treatment and screening options that are coming to market. I’d like to see more data on this as it’s very interesting that a “send a picture of your skin to a dermatologist” app startup like FirstDerm is reporting “about one Lyme disease sent to us a week” that feature “the Eythema Migrans pattern” because this would suggest that perhaps there is no very defined active season (we would’ve expected incidence to be distributed bell curve style if there was eg. “during April-September – the warmer months – we’re inundated with Patients sending us images showing the EM pattern“). 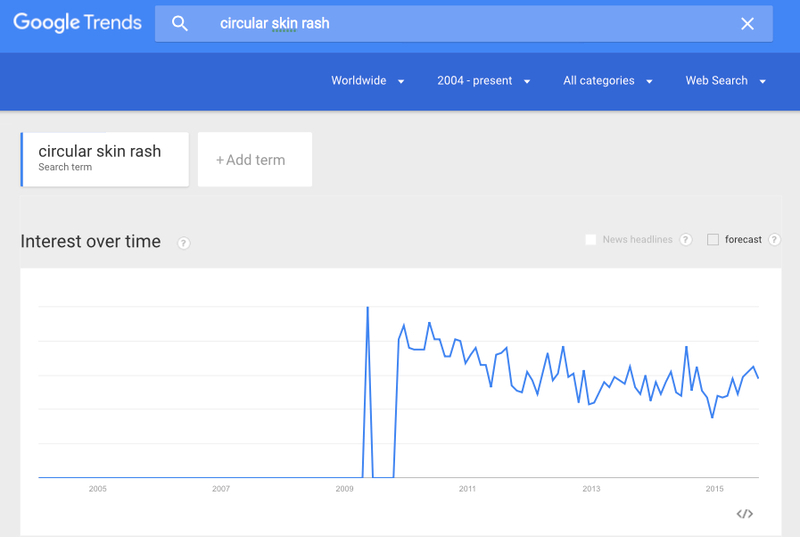 and so public health messages perhaps need to better stress the need for year round vigilance. Another conclusion that can be drawn from this is that it proves how invaluable convenient, zero/low cost, mobile access to advice is going to be to improving the early reporting of symptoms so that effective treatment can be administered eg. in about a 1/3 of infected persons there’s no rash so these Patients will in all likelihood go unreported unless their Doctor provides convenient means for them to report symptoms. I think it shows how clinically validated medical history taking questionnaires can add value eg. notice how it notes that the Patient hasn’t been walking in the woods or working outdoors in the last week, helps the Patient describe the rash and let’s the Patient upload a photo from their phone? Full time/Permanent position/ Location flexible. Remuneration will not be a barrier for the right candidate since the principal donor, John Caudwell, will pay all the operating and administrative expenses. John Caudwell is seeking a hugely ambitious, tenacious and visionary researcher to take up this pioneering new role his newly founded Charity to tackle head on, what could very possibly prove to be, “ one of the greatest threats to public health in our time.” Your focus will be to establish multidisciplinary research, encompassing why growing number of patients fail to get correctly diagnosed; encompassing why many experience ongoing or relapsing symptoms after having been treated for Lyme disease; encompassing why diagnostic tests often do not provide definitive information regarding the presence or absence of infection; and encompassing why there are multiple possible mechanisms by which symptoms persist. Our mission will to be quite literally lead one of the greatest medical discoveries in history, resulting in radically better diagnostic assays, more effective treatments and a new pathophysiologic understanding of symptom persistence. Background: Notoriously difficult to diagnose, Lyme Disease often mimics other conditions and if not treated early on, can result in long-lasting symptoms. Since John shared his personal experience, in recent weeks there has been a mammoth groundswell in opinion that undiagnosed Lyme Disease may be endemic, and that hundreds of thousands of people could also be suffering needlessly. John (and he is not on his own) argues that if an entire family like his can be infected, the disease could be passed from mother to child in utero, alongside other methods of transmission, and – furthermore – that it could be the root cause of multiple other illnesses including M.E., CFS, Alzheimer’s, Parkinson´s and Multiple Sclerosis, and could also be a factor in various neuropsychiatric conditions. • Extensive research experience at beyond PhD level including specialist skills in methods of systematic research synthesis to inform decision making. • Ability to conduct literature reviews; collect and analyse quantitative and qualitative data; write project reports and make the research relevant to academic and non-academic users. • Ability to contextualise own findings, to communicate them effectively and relate to a wide range of audiences. • Able to work independently and as team to achieve project goals. • Well organised, methodical approach, self-motivated with attention to detail. • Willingness to undertake appropriate training and apply knowledge learnt. • Ability to draft scientific reports/papers for publication/prepare presentations. Next Steps: In the first instance please apply to martin.gray@caudwell.com with a CV and brief/specific reasons why you feel that you may be suited to this unique opportunity. “Or Lyme disease, as Snyder found out last year when he took a trip to Norway for a family vacation. Snyder’s sensors detected a drop in blood oxygen levels and an increase in heart rate during his flight. Those changes weren’t out of the ordinary, but the levels didn’t return to normal as expected. Soon afterward, Snyder developed a fever and other signs of illness. Two weeks before the big trip, Snyder had been helping his brother build a fence in rural Massachusetts. Based on the readings, Snyder suspected that he might have been infected with Lyme disease due to a tick bite. In Norway, Snyder was able to get a prescription for doxycycline, an antibiotic used to treat Lyme disease. Subsequent medical tests showed that he did indeed pick up an infection. I think this is a great example of how really smart people (Michael Snyder is a Stanford geneticist) all too often miss the opportunity as a result of their fascination with technology. In the Geek Wire video Michael lists the wearables he constantly wears 9 devices everyday (including “3 smartwatches” that are on his wrists) and a Dexcom G5, Withings BodyScale and some more ‘proprietary devices’. Little detail is given on the quality of the diagnosis (did he find a bullseye rash etc?) and whether or not Snyder had indeed been infected on a previous occasion before he helped to build his brother’s fence but surely it’s obvious that the mHealth opportunity lies in much more basic medical education eg. to make Snyder more aware of the risk of ticks in rural Massachusetts and ways that he could’ve better protected himself while working outdoors? From reading the article it appears Snyder was aware of the risk but might’ve been so distracted by the wearables (imagine trying to build a fence with your arms laden with clunky watches?) that the preventative opportunity was lost. Related post: The Future of Health Monitoring is already here but we just use it to make animals run faster. 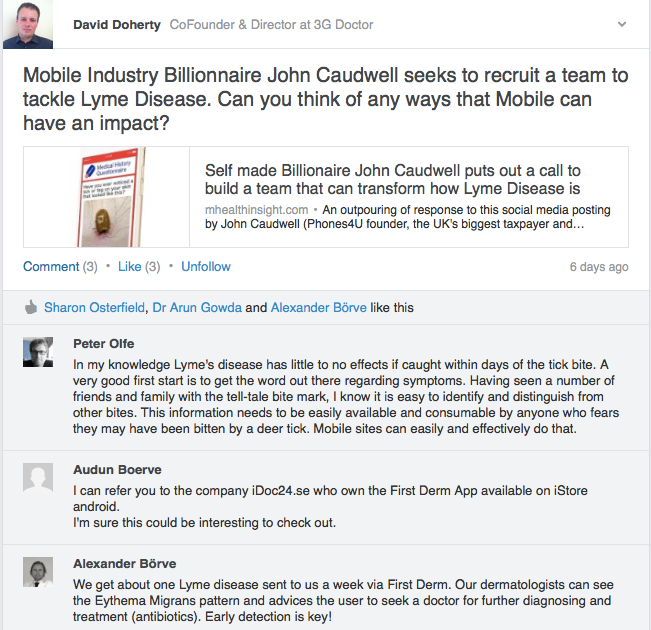 26 Responses to Self made Billionaire John Caudwell puts out a call to build a team that can transform how Lyme Disease is treated. Can you think of any ways that Mobile can help? One of the largest problems people with Lyme disease face is that many physicians are uneducated regarding Lyme disease or simply do not believe it exists. Many people, including myself have gone undiagnosed because of this problem. There needs to be more physicians willing to become ILADS certified. The other issue is the lack of health insurance coverage and the cost of care. Thanks. Hi .This is Ana Vargas.Please have me in your team to help transform lyme disease in this country. I want to help others, desperately before there are more suicides, mire family breakups and overall suffering. With my experience with lyme I can understand everyones story.Im also very.knowleadgable of it. I strongly believe God has pick up for this purpose. There is so much I can share so others can learn from my son and family case. Thanks for your attention.I want to volunteer freely of my time. I want no.money. Lyme disease is an illness with over 200 know sickness symptoms. Therefore it is very difficult to diagnostic Lyme by a general doctor without training Most of tre known treatment of lyme are mainly based on antibiotics which all have side effects. Mitochrondia become destroyed. Most of patient have not correct detoxification which can cause a lot of pain in the joints. We started 10 years ago with a group of doctors for alternate medicine to develope a successfull treatment concept and a success quote with over 90% success. By seminars with certification we train therapist to treat Lyme disaese with our treatment protocol. successfully. 2013 we have received the award “Best of 2013” by the Germany industry. Early diagnosis and treatment is desperately needed. 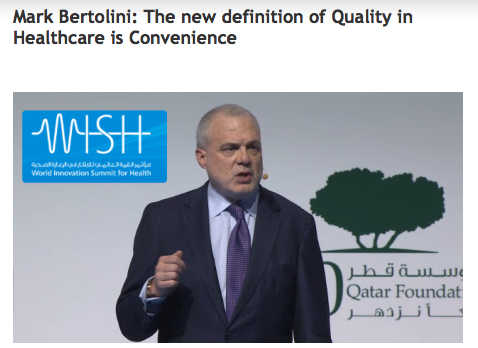 This can only come with educating not only the public in general but doctors specifically primary care physicians. We have got to them off the CDC guidelines and make it ok for them to use the ILADS guidelines. This is a big battle. I think it starts with communication. We need to get proper information into their hands. Perhaps packets hand delivered to them. Maybe getting our foot in the door to speak at health conferences. Local news articles. Local fundraising events focused on raising awareness to community leaders who may put some pressure on local medical communities. We just have to overpower the CDC message. You MUST consider Bee Venom Therapy. All the Lyme patients who follow our protocol are improving, many within months! Love & Venom, Don Downs!! Love his work. Bee Venom Therapy or BVT has been used for 6,000 years to treat many conditions. It’s well documented and there are many first hand accounts to be found. BVT has many, many benefits. For a Lyme patient it offers this: kills parasites, bacteria, & viruses. This is near 1,200 infectious agents. Here is one cool kicker, BVT pokes holes in BioFilms! A membrane-busting protein called phospholipase A. Yep, way cool. These holes are gateways for antibiotics, herbs or your own immune system to access the bugs. Happy dance for that bonus. Additionally, pain relief & hormone balancing are certainly part of the benefits. The venom kills bugs while calming damaged nerves as well. First bee stings trigger the production of histamine, a chemical that drives allergic reactions. But as the patient is further stung, a class of T-cell that would normally boost the immune response against the venom instead senses the histamine and morphs into regulatory T-cells, calming the immune response. Bee Venom School for Lymies! Tune in to our new BVT Radio Show series too! We record new LIVE sessions on Tuesday Noon, PST most weeks. I hope EVERYBODY will accept the #2015BVTChallenge! Those who are, have been reporting some ultra cool responses as they heal. We want you to feel better too. Take some time to learn more about the huge benefits of Bee Venom and what it offers to the Lyme patient. It’s low cost, highly effective, sustainable and nearly doesn’t care what you are infected with. We are here to help you with our own personal experiences to include you in the remarkable healing that natural, Bee Venom offers us all. Everyone is welcome. Come take the #2015BVTChallenge! All you have to lose is your symptoms and your infections. Lymies…I would get all these tests…Western Blot for Borrelia, also test for Borrelia hermsii, Borrelia recurrentis, and Babesia duncani and microti and Quest can test for duncani, Bartonella henselae and quintana, Brucella, Tularemia, Coxiella burnetti or Q fever, many rickettsias ie Rocky Mountain Spotted Fever, Typhus, Ehrlichia chaffeensis, Anaplasma phagocytophilum, EBV, CMV, all Coxsackie viruses, and now Powassan virus and its cousin Deer Tick Virus, HSV 1 and 2, HHV 1-8 if available. Parvovirus B -19, Papillomaviruses, Toxoplasmosis, Chlamydias and Mycoplasmas and get genetic tests for hypercoagulation like Mthfr and Factor V leiden, and test all your IgG subclasses 1-4, and CD 57 and C3a and C4a and CBS mutations and HPU/KPU and mold testing since so many of us have issues with mold. ECP or eisonophil cationic protein seems to suggest to docs that you have babesia. Also transfer growth factor b-1 and Beta Strep. High CD 57 counts may be associated with Beta Strep. Heavy metals have a part in this and we are low in Secosteroid D or vitamin D and some are low in Potassium and others iron. Many are deficient in all amino acids. Our hormones are a mess and the whole HPA Hypothalmic pituitary axis is the problem. We can have probs with our adrenals and thryoid…we do not convert T4 to T3 and in my case I have high reverse T3 or rT3. We are quite low in testosterone as well. Check out every hormone in your body, amino acids and vitamins and minerals. There are over 100 viruses we can get from a tick and also many parasites. The labs that insurance covers can’t find a parasite when we can see it under the microscope. Quest at Nichols Institute in Valencia California can culture samples and might even be able to distinguish Brucella suis from melitensis or arbortus. We also need an MRI of our brain with and without contrast. Many lymies are showing up with pituitary adenomas and pheomchromocytomas. Make sure that you do not have these. I have spent years trying to figure out what is in us and so far this is what I have seen. Unfortunately when your physician may take years to order all the necessary tests. Make sure you get tested sooner rather than later. One more thing …..you may get tested for Brucella today and 2 years from now may show up IgM positive. The immune system is overwhelmed with all these pathogens. Whole HPA is a mess. ADH is not normal in lyme patients. We also need to be tested for all the opportunistic fungal infections of AIDS patients.VEGF would also be a good test. Whole HPA is a mess. ADH is not normal in lyme patients. We also need to be tested for all the opportunistic fungal infections of AIDS patients. VEGF would be another good test. I saw Mr Caudwell being interviewed on Sky News earlier this week and I remember him saying that as far as he knows he has never been bitten by a tick nor have his family members. I was out walking today on Kinder Scout in the Pennines today and due to our Indian summer there was a lot of midgies about and I couldn’t help wondering if blood sucking insects could also be carriers of Lyme’s disease not just ticks. Maybe this should be researched further. I agree with Deb Elder….ILads is only one option, tht we found helps, but does not heal….Bees. Simply put.. The order of the system of a mercury-sensitve person (ApoE4), what most chronic Lyme patients are, is disturbed by chronic, daily exposure with traces of mercury by ingestion, inhalation and skin penetration. The infection with Borrelia can not be correctly counteracted and fought by the disturbed immune system, and the burden of the Borrelia infection and the unknowing new daily exposure of mercury weakens the body even further. The flair ups of the disease can only be explained by the incidence and level of new mercury exposure, because the level of borrelia is not changed from one hour to the next, like the symptoms change. All patients feel better with chelation, as long as the chelator doesn’t contain traces of mercury, and if the exposure is stopped or drastically reduced. For possible sources of mercury read my notes on my Timeline on Facebook. If a factory is not organized and controlled, it doesn’t work. Bring your system back in order, so that it helps to fight the disease. That is why I teach my patients how to test for the ingredients, they are sensitive to, in each article they like to ingest, inhale or put on their skin. I have had lyme for many years likely and passed it on to my children, what has activated our lyme and has supercharged our co-infections is our exposure to toxic mold. So, we now are seeking to not only detox the mold from our bodies but also ridding our body of lyme. Myself and my son have poor genetics which make us more vulnerable. My other son age 17 struggled for one year with his illness, and failed a year of school despite being in advanced studies, he took his life over a month ago. It is so painful to think of how this illness destroys lives and renders you helpless due to the lack of treatment and cost. We are surely in the early stages of treating chronic lyme and there is so much to understand. Genetics and other exposure play a huge role in the course of this disease. What is pressing at this moment is finding our way back to the land of the living. We long to find treatment and be recognized by the medical professionals. One of the greatest challenges in my opinion is the lack of good testing and the cost. This needs to be addressed. As a single mom, I have expended everything I have to get my family well, and we are still struggling everyday. My younger son has to be homeschooled, our lives have been massively disrupted by this disease. I pray that we continue to spread awareness and make the changes that we need to in order to effectively treat Lyme illness. Yes this has been a serious cross over for me as well, and I think many others. I was exposed to high levels of mold toxicity in an office I was renting for work. Since, my body has completely gone down. I have had lyme for 20 years, was in remission for 10 years until I was hit by mold toxins. I now can not get back to normal. It has been 6 years. I am starting a medical crowd-sourcing website and mobile app for Lyme (and also all other chronic diseases). It’s called Med Grid, and our tag-line is a “Rebuilt Patient Controlled Healthcare System On The Internet”. In thinking about the treatment for chronic Lyme, the biggest problem we’ve had patients tell us is not the treatment itself (as horrid as that is). It is the process of information gathering and deciding what to do, and when to do it. The patients we’ve talked to who are better said that if they had all of the information in the beginning (that they eventually acquired by the end), that they could have saved, in some cases, *years* off their treatment regimen. When we really pressed for details on this issue, we realized that Lyme treatment, as horrid as it is, is more a problem of gathering information than it is actually executing on that. PLEASE NOTE: we are NOT minimizing symptoms and herxes here. We are simply saying that the people who get better, when they take a step back, say “wow, the biggest reason it took so much longer than it should have is because no one was able to map out a *comprehensive* plan for me on Day 1 of what to do and when to do it, and i kept finding out over months and years things that i should be doing, that no doc ever told me about”. 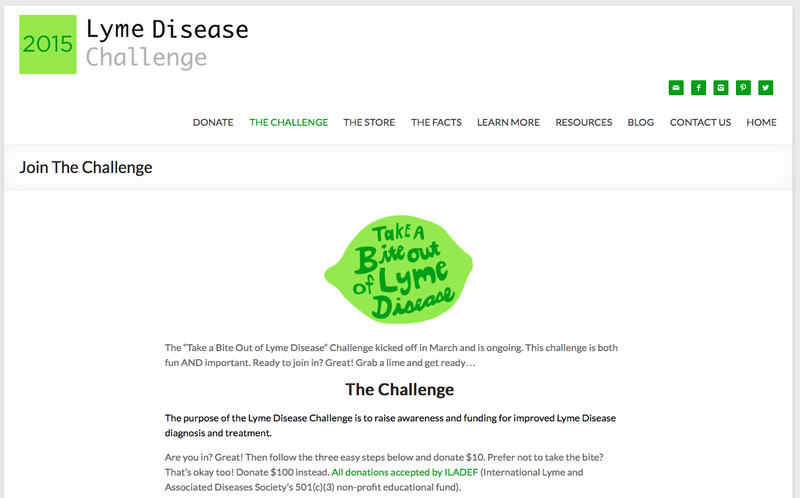 Our website and app (for all diseases, not just Lyme) will use ‘crowdsourcing’ to continually aggregate all of the collective medical wisdom world-wide in patients and doctors heads, with the purpose of giving patients full transparency on medical best practices, treatment flow charts, decision trees, and other tools (even financial tools like how best to treat Lyme, or come up with a food-allergy meal-plan, on a limited budget). This will allow people to know what to do and when to do it for any symptom, disease, treatment, Rx, or condition. And to avoid missed diagnoses, mis-diagnosis, medication and interaction errors that doctors and pharmacies are not telling patients about. The end goal is to save people time, money, and health as much as possible, by knowing they have a disease as early as possible, and can cure it as quickly and cheaply as possible. Illegally HEALED or Legally DEAD!! !, it’s a choice! No present tests can diagnose that a person does not have Lyme Disease. There are strains and many co-infections for which no tests exist. An experienced Lyme literate doctor, of which there are sadly few in the UK and worldwide, will diagnose on symptoms as well as test results. Lack of research means there is little knowledge, and no concensus, on how to treat Lyme. What is known is that the situation in the UK is dire. NHS tests are inaccurate and treatment inadequate. The majority of doctors working for the NHS know very little about Lyme and even if they do NICE guidelines prevent them from treating adequately. Doctors have lost their licences for doing so. Patients who can afford to do so visit expensive private doctors, usually overseas, spending many £1,000s in the process. Those who cannot afford this are given little or no help by the NHS. We desperately need doctor education, accurate tests and effective treatment. Lyme Disease UK Facebook group has some greatly experienced and well informed members who have been living with and researching Lyme Disease for many years. I would recommend asking there for correct, well-informed and up to date advice on the current situation. There are several members who I believe would be invaluable to your cause. I do not include myself among them. I am still have much to learn but their advice and support has been invaluable to me and many, many others. restoring one’s health with good food is a fisrt step so that our mitochondria can work well whan we have lyme ; detoxing a lot another one , it will help cells to fight the invader ; treatment is necessary to destroy the bacteria as well as cyst busters ; however this will take a long time to recover from lyme and co ; treat coinfections as well at the same time . In the United States there is no medical insurance coverage for treatment. Treatment is costing me more than what I make a year. I have a what is considered a highly professional job requiring beyond a college education. Just for ozone treatment and treatment for environmental sensitivities I am paying over $400 US a treatment. I am also traveling to get to doctors who most educated in the type of treatments I need. The time away from my children to get treatment and to work to pay for all of this is at a great expense. There is emotional fall out to everyone. The dread my children face in the possibility that they could test positive. They feel that this is a life sentence of obstacles with no real answers, just moving from one symptom to the next. Hi I have first hand personal experience in Lyme. I have done nothing but research for four years. It paid off I am now recovered. No antibiotics and no NHS treatment. My story was published recently in a bid to help others. I would love to tell you and show you how I did it. If you are putting a team together I would really love to be involved. I need to use what I have learned to use and help others. Then the last four years of hell will not be in vain. I can turn a negative into a positive. Hi I have first hand personal experience in Lyme. I have done nothing but research for four years. It paid off I am now recovered. No antibiotics and no NHS treatment. My story was published recently in a bid to help others. I would love to tell you and show you how I did it. If you are putting a team together I would really love to be involved. I need to use what I have learned to use and help others. Then the last four years of hell will not be in vain. I can turn a negative into a positive. I am Aware and experienced political issues of Lyme. I even qualified as a homeopath and private investigator . This is the level of commitment I have to fight Lyme and I am still learning new things every day. I did an alternative treatment for Chronic Lyme that works in 2009, and I am still symptom free! I paid for a study that proved what I took is effective on Lyme. I still can’t get the “medical” profession to do a full study on this cure. Hopefully this treatment will some day be available to all Chronic Lyme sufferers. and am offering 16 acres in capital of Brazil for this aim. Why Brazil? Lyme has gotten too political in countries where it has spread. This provides neutrality. I am a previous fund raiser with United Nations so starting my efforts now. Am really angry about this situation. One of my kids is severely disabled as a result. He was bit in 1998 in New York. If someone had told me I would have treated him immediately -but there was idiotic silence from the government at that time and so many people’s lives are ruined now because of silence. I would welcome to be on the gentlemans’s team”. As for ” self made” in his title?. Nothing we do – that succeeds – is ever achieved alone. Hi please can you send on this very very important information to john cauldwell .make contact with immunotec company in canada.they are changeing very sick peoples lives as we speak,inc lymes disease sufferers.i am on product 3 yrs and its oh my god life changeing..google immunocal u tube testimonials and hear people from all around the world speaking about what it has done for them.DR LUC MONTAGNER who won the 2008 nobel prize in medicine wrote a entire chapter on product immunocal in one of his books,that says it all.also very important its 100% NATURAL.this product will certainly help john and family that i am certain of.call me anytime to set up a call with dr jimmy gutman of immunotec canada,btr still ask john caudwell or one of his family to call ma asap,it will change their lives.what have they to loose nothing only but a few min of their time.